When I was a young guy, I owned a late 1960’s Fender Bandmaster. This was the kind with the large 2 X 12” speaker cabinet. The cabinet must have weighed 35 or 40 pounds and the head was an additional 20 pounds. I lugged that thing everywhere. My friend owned a similar sized Fender Bassman. We stuffed them both in my old Plymouth Fury station wagon and drove to gigs. I still have friends that play out and haul their 80 pound Fender Twin Reverbs and Roland Jazz Chorus 120’s. God bless ‘em. I just don’t care to lug that weight any longer. 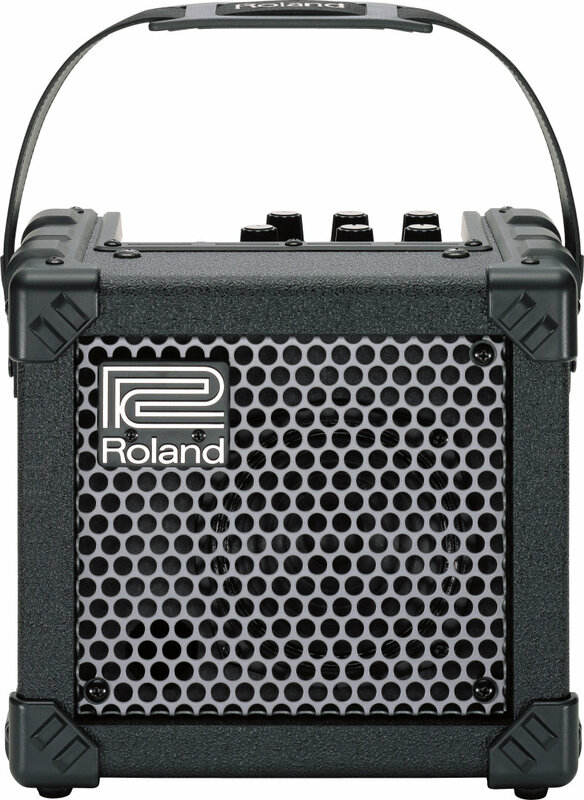 So I purchased a Roland Micro Cube. It weighs in somewhere between 7 and 8 pounds, and it sounds pretty good. It only puts out 2 watts RMS, so the amp will not give the fullness of a 50 watt Marshall Stack. But for bedroom playing or even miking the amp to play at small functions, it is super. 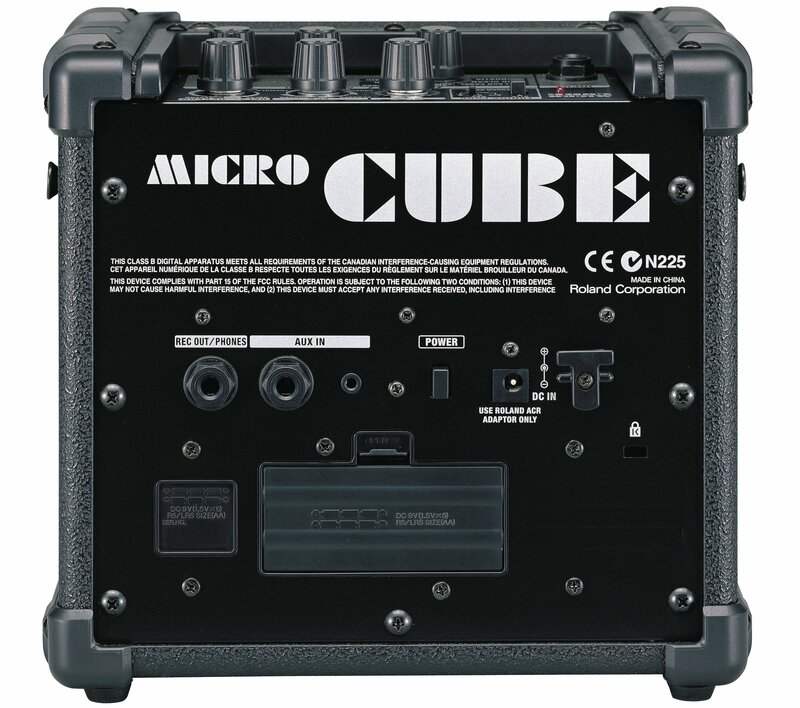 The Roland Micro Cube is the industries first battery powered modeling amplifier. It is part of Roland’s Cube line-up. The amp comes with five amplifier models, which include JC Clean (modeled after a Roland JC 120 amp), Black Panel (modeled after a Fender Twin Reverb), Brit Combo (modeled after an overdriving Vox AC30), Classic Stack (modeled after a Marshall JMP amplifier) and the R-Fier (modeled after a Mesa Boogie Rectifier amp). Additionally the amp has an Acoustic simulator setting that produces a sound similar to a Boss Acoustic Simulator pedal. The amp also has a vocal preamp setting, which sounds extremely dry and flat when playing guitar. I would think few people use this feature. The amps two watt output is fed into a five inch Roland speaker. Most folks find the stock speaker to be flabby and at times it rattles. Replacing the speaker is a fairly simple task. Electrovoice makes a nice 30 watt-five inch model that sells for around $30 US. The amp can be miked to get a more natural sound or the amp includes a quarter inch headphone/line output jack. Two watts can easily go directly into a PA without the need for a DI box. 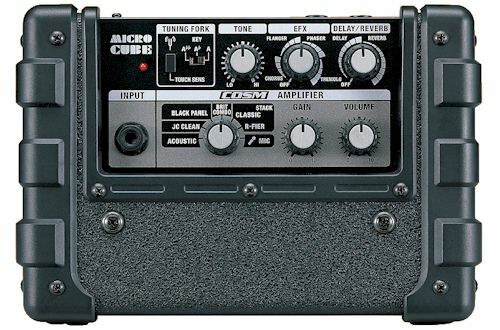 The Micro Cube comes with several effects that are based on the companies Digitech/Boss line of pedals. This includes a potentiometer for either delay or reverb and another for Flanger, Phaser, Chorus, and Tremolo. The amp comes with an output knob and a gain knob. On the downside it has only a single tone control. Roland has built this amp to be nearly indestructible. The speaker grill is made of honey-coned metal and the chassis is solid wood. The Micro Cube runs on six AA batteries or the wall-wart style transformer that comes with the amp. It also has a nice, but small guitar-strap style handle that hooks on to the two guitar strap buttons on the amp’s opposite sides. A new Micro Cube will set you back $129 US. The Vox DA5 has come and gone. 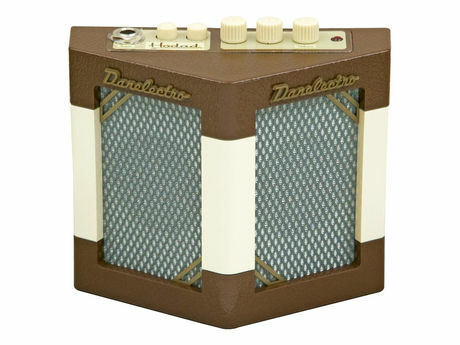 You should be able to find them in some music stores; however Vox has discontinued this little amplifier. At last glance they were selling for $99 US. 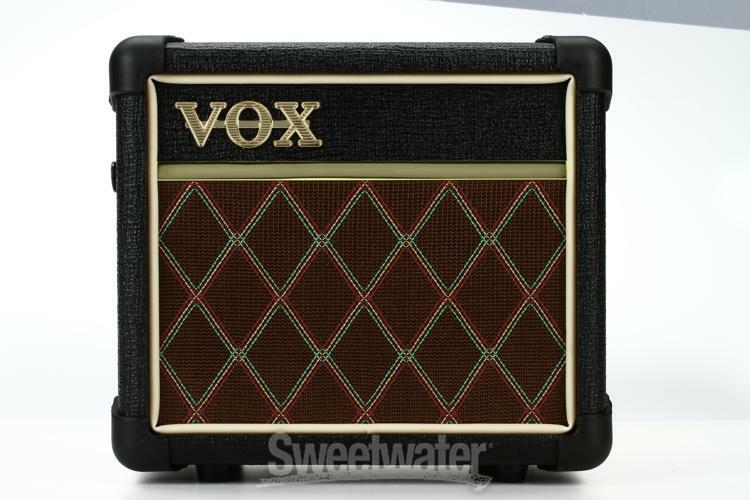 Vox took on Roland and came out with a more powerful amp, 5 watts, with a few more sounds. This amp had 11 sound options, including an acoustic simulation. It also came with 11 built-in effects, which include phaser, chorus, flanger, tremolo, rotary speaker simulation, auto-way, compressor, delay and reverb. By mixing these effects, a player can come up with 11 different sounds. A tap button allows the player to set the speed of the effects modulation. It also has a noise reduction circuit. The Vox has a control to set the wattage. You can choose from 5 watts, 1.5 watts or .5 watts, which makes it great for late night playing or apartment dwellers. 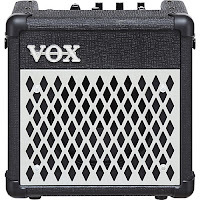 Like the Roland, the Vox DA5 runs on six AA batteries or a transformer, which is included. 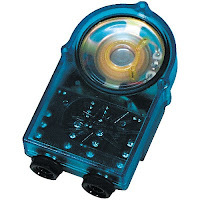 It also comes with an audio input jack so you can connect a CD or MP3 player. There is also a microphone input. The headphone/line out jack allows you to connect to a mixer for PA and recording work. 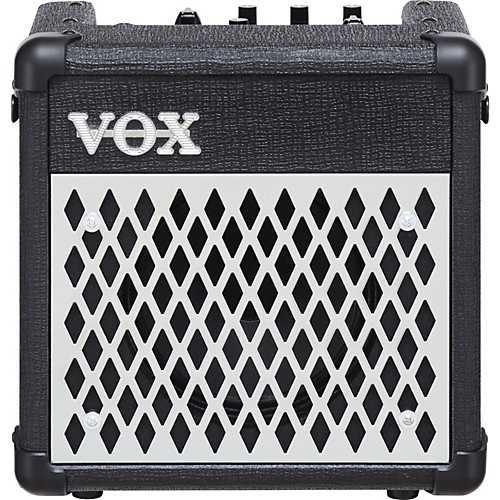 The Vox DA5 also comes with a built in guitar tuner and a 5 watt Vox design speaker. Vox has created a new amp to replace the DA5 and called it the Vox Mini 3. This little beast resembles some of Vox’s line of small 5 to 15 watt amplifiers. The Mini 3 can run on AA batteries that can provide power for up to 10 hours or it can be hook up to its own wall-wart style transformer. 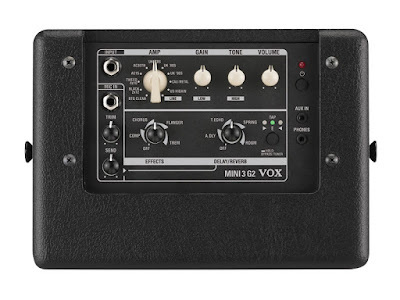 The Vox Mini 3 comes with 11 amplifier models, that include, boutique clean, tweed, California metal, U.S. high gain, AC30, AC15, UK ‘70’s, UK ‘80’s, UK ‘90’s as well as others. The effects are similar to those found on the DA5 including compression, chorus, flanger, tremolo and four different types of delay and reverb. This one channel amp has input for guitar, plus one mic input and an auxiliary input. The headphone jack doubles as a line out. 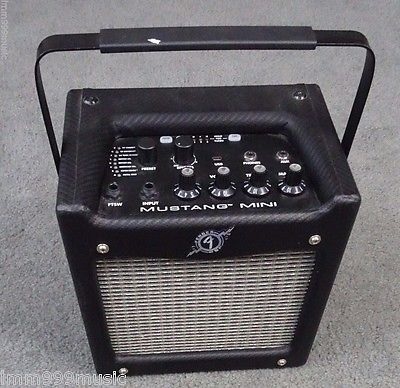 Like most of the other miniature modeling amps, this one weighs in at around 7 and ¾ pounds and comes with a carrying strap. The speaker is a Vox 5” model. 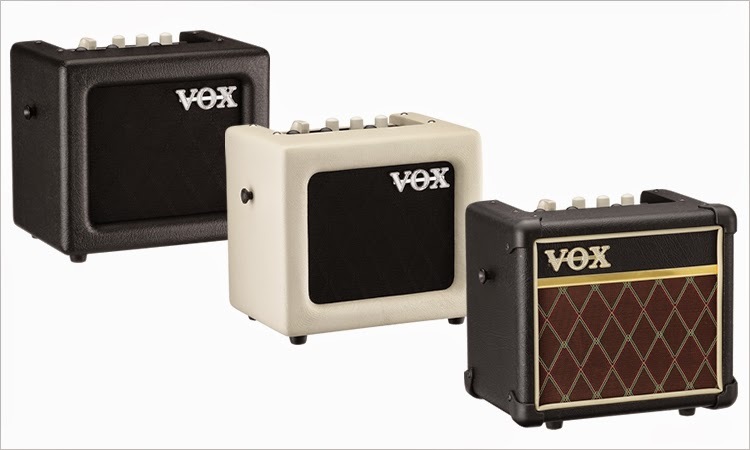 The Vox Mini 3 is available in multiple colours, including ivory, British racing green and black. The Micro Spider offers four guitar sounds, Crunch, Metal, Insane plus an acoustic guitar sound. Additionally it comes with six Smart Control effects including Chorus, Flanger, Phaser, Tremolo, Sweep Echo (with tap tempo), Tape Echo (with tap tempo) and Reverb. The amp includes an integrated chromatic tuner, mic input and trim knob. The amp also has a POD 2.0 style direct out, so you can plug directly into a PA or recording console. This little guy is powered by six C batteries or through its wall transformer. One advantage of owning a Line 6 Micro Spider is access to “Spider Online”, which is a free web resource for registered Spider amplifier owners. This site offers over 300 lessons, 100 jam tracks played by top L.A. and Nashville session musicians and hundreds of tones that download into some of the Spider amps that support USB connectivity and on-screen display for those amps that do not have that feature. 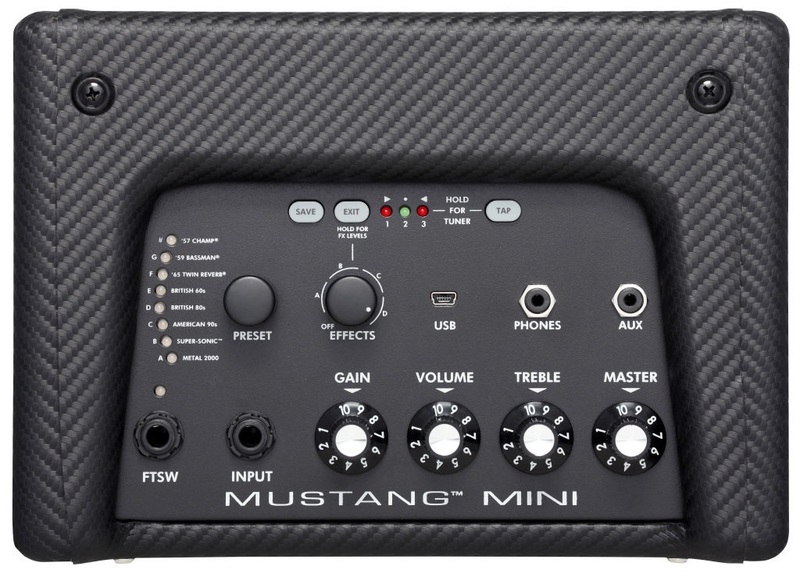 The Micro Spider sells for $134.99, which is 5 bucks cheaper than the Roland Micro Cube. 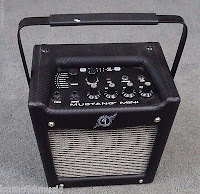 The Fender Musical Instrument Company has also got in to the act by offering the 7 watt Mustang Mini guitar amp. It runs on an AC power supply or six C batteries. 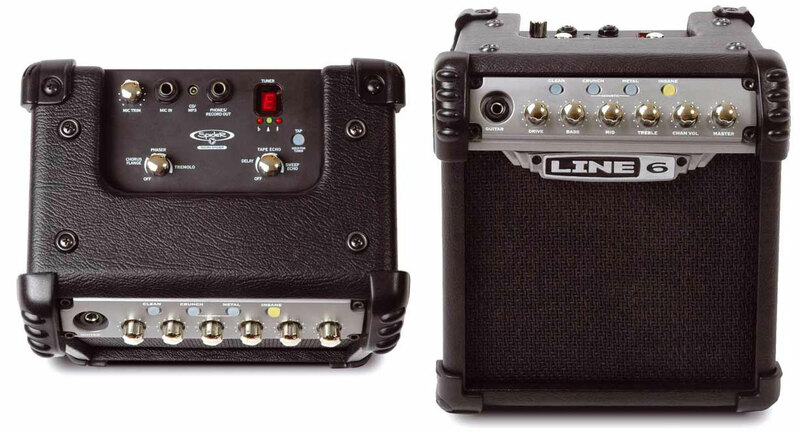 This little power house features eight built-in amplifier models and twelve onboard effects. However the amps eight effects can be modded to provide 24 preset sounds. This amp comes with free Fender FUSE software that enables you to download a myriad of sounds and effects using the amps USB connector. With the optional foot switch, two pre-sets can be easily accessed. The amp has an onboard chromatic tuner and resembles a small version of the other amps in Fender’s Mustang line. The metal handle can be used as a tilt-back stand. Aside from these miniature digital amplifiers, there are a few analog amplifiers worth mentioning. 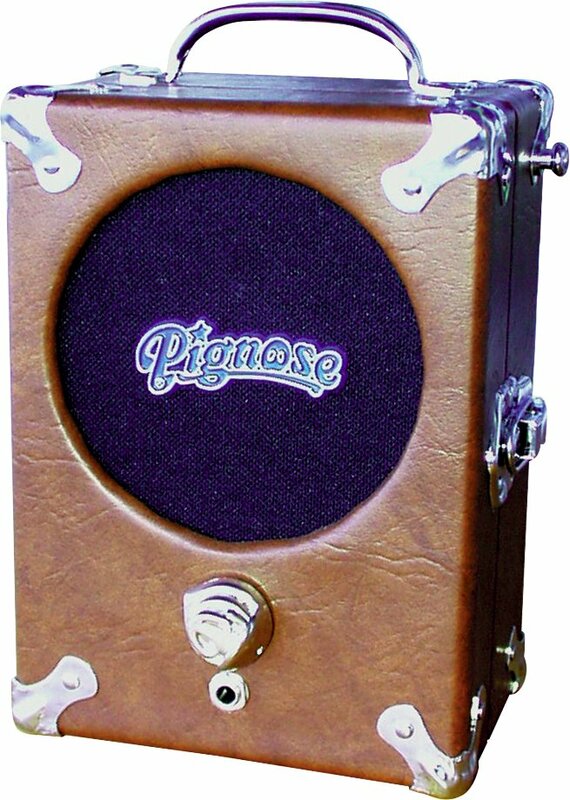 The Pignose 7-100 amplifier has been around for years. This amp produces 5 watts of pure power into a five inch speaker. The amp weighs around 5 pounds and is powered by six AA batteries. The front of the amp features the piggys only control which is an on/off volume rotary potentiometer that is topped with a chrome silver Pignose knob. There are not many bells and whistles on this little guy. If you want clean, you turn the volume down. If you want distortion, just crank it up. Since the cabinet is hinged, you can use it opened or closed. Older literature suggested getting a tremolo sound, by having a friend open and close the cabinet while you are playing. There are two guitar strap buttons on this amp, so you can wear it over your shoulder while playing. 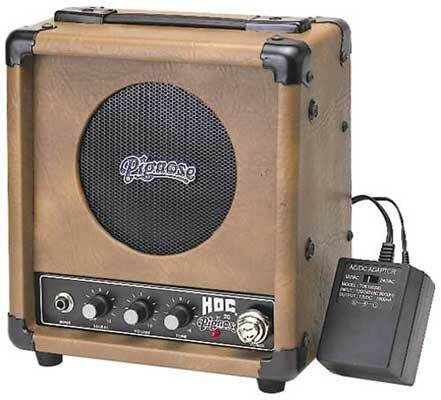 Pignose Industries offers the Hog 20 and the Hog 30 amplifiers. Each comes with larger speakers and rechargeable batteries and more tone options. Smokey Amps were invented by guitar builder Bruce Zinky. Zinky worked at Fender and struck out on his own. 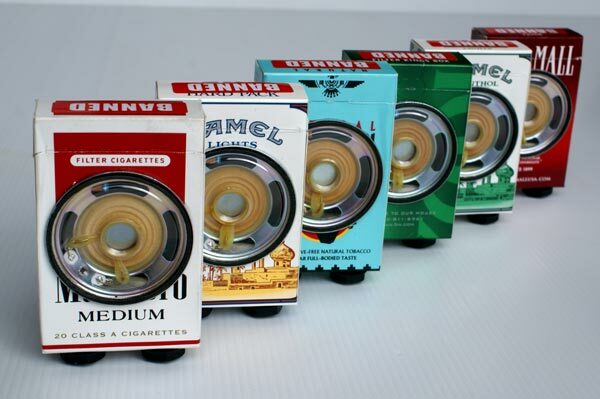 He fashioned a cheap amplifier that sold for around $25 that fit inside an empty cigarette pack. The amp has no controls. The only features are one input and one output jack. You control the loudness and tone from your guitar. You can plug headphones into the Smokey, play it through it’s built in 1” speaker or use it to power a double stack of Marshall Cabinets. The price of the Smokey is $32, but street price is around $28. Two other unique amps are offered from Electro Harmonix. 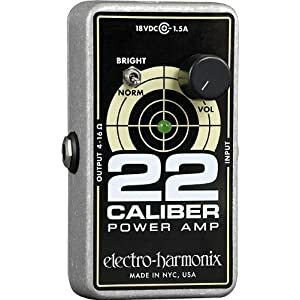 The Electro Harmonix 22 Caliber amplifier looks like a guitar pedal. However this is a 22 watt solid state amplifier that can power any size speaker cabinet. This amplifier features a single volume control and a tone switch to give you a normal/flat setting or bright/top end boost. The company took the amp a step farther a year later when the came out with the Electro Harmonix 44 Magnum amplifier. The features on this amp are similar to its smaller cousin, but the Magnum emits 44 watts of power. The 22 watt model is powered by an 18 volt power supply that comes with the amplifier, while the 44 watt model uses a 24 watt power supply. Both are small enough to fit in a guitar case or gig bag. 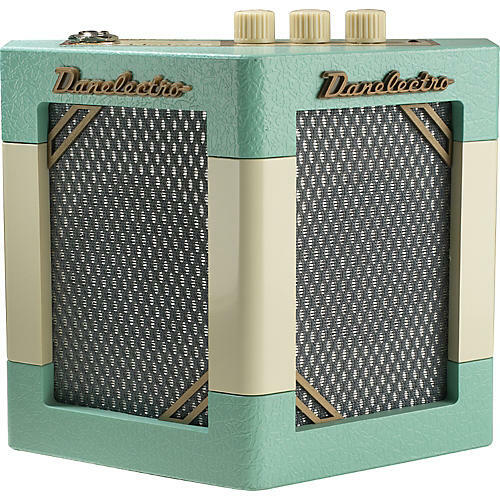 Finally the good folks at Danelectro have come out with a couple of small amplifiers that are worth mentioning. The Hodad DH1 is a miniature battery powered amplifier that comes with twin two inch speakers and a tremolo and echo effect. The Hodad DH2 is similar, but comes with tone, gain and an on/off volume control. Both amps emit one watt of power. Marti Heil is one of my dear school friends. She has been an accomplished professional musician, a fashion model, a mother and now works as a silver smith. She creates beautiful jewelry which she sells at her website, Fables in the Air. 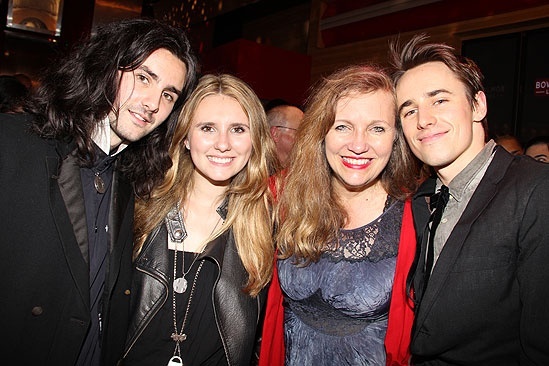 She is also the mother of Zane, Reeve and Paris Carney. Her children have been blessed with Marti’s gift of music. Zane and Reeve are in the band Carney. Reeve is the star of Spiderman, Turn Off the Dark. Zane plays guitar in the show’s band. Her daughter Paris was recently married and is embarking on a solo career. 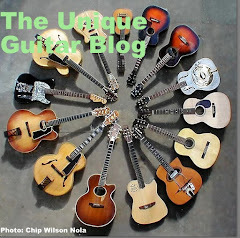 You are probably asking yourself, “What does this have to do with unique guitars? Marti made this amazing silver guitar slide for her son Reeve. The minute I saw it, I asked her for a picture, because I knew this was something special and needed to be shared with my fellow guitar aficionados. Most slides are made from brass or glass. Some folks even use a socket lug wrench. 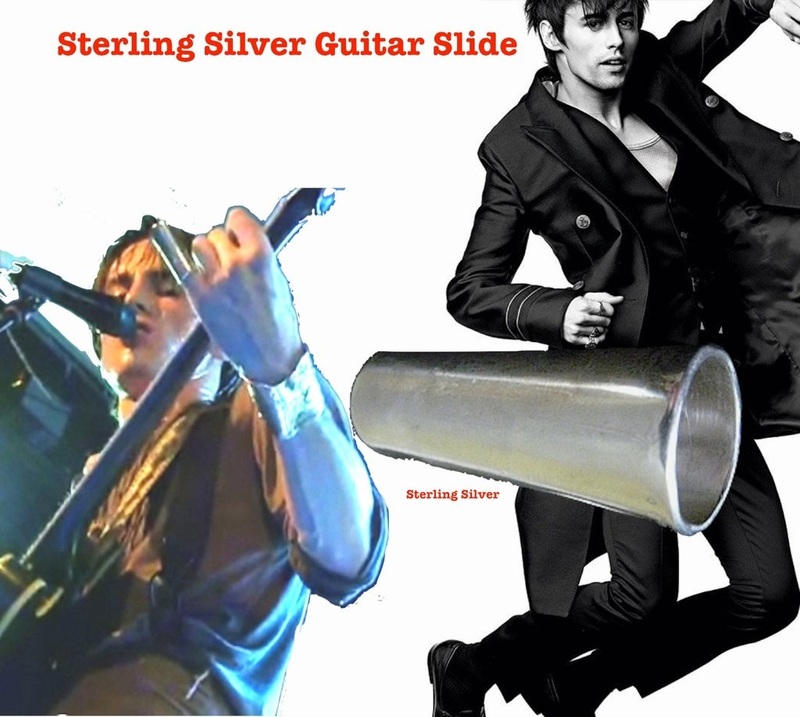 I have never seen a guitar slide made of solid silver. According to Reeve, it has a great sound. I hope this starts a trend. By the way, they are for sale. Just visit the website and scroll down. I was at my local Guitar Center last week to purchase some new strings. While there I had a chance to check out any interesting guitars in their inventory. I listed to a fellow in the acoustic guitar room who was playing a new Taylor guitar and singing. He had an astonishing voice. As he left, I complimented him and struck up a conversation in which he told me about his guitar collection. 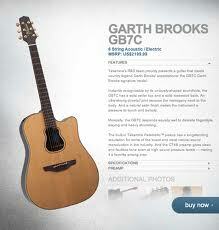 The one instrument that he was looking to add was the Garth Brooks Takamine model GB7C. 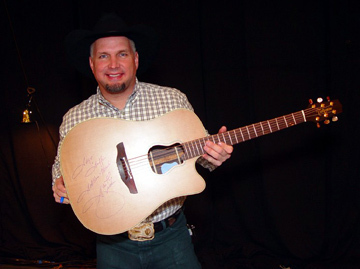 I had never really considered the Garth Brooks model as something I’d like to own, but I had to agree, it certainly is a unique guitar. 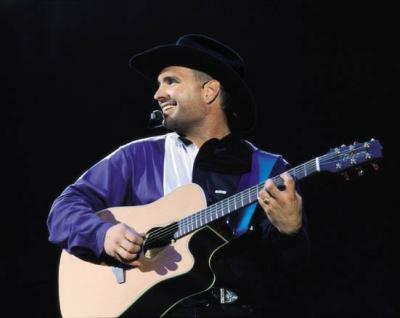 It was around 1990, at the peak of his popularity, Garth Brooks teamed up with the Research and Development department at Takamine Guitar Company to create his signature instrument. This dreadnought sized guitar features a top made of solid cedar with a smooth satin finish. The back and sides are solid rosewood. Then neck is made of mahogany that dovetails into the body. The headstock is adorned with gold-plated tuning machines capped with amber plastic buttons. Perhaps the guitars most interesting feature is the guitar body shaped sound hole that mirrors the shape of this instruments single cutaway body and is surrounded with a rosette of concentric rosewood rings. It is a very nice and visually appealling instrument. Beneath the guitars twin bridge saddles is the Takamine Palathetic piezo pickup, which was created by the companies design team. 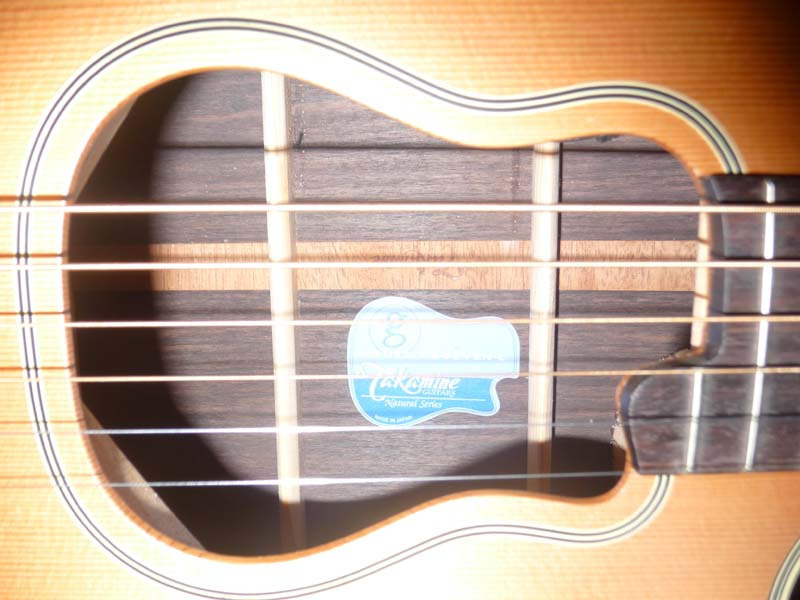 This pickup is well known for producing a very natural acoustic guitar sound, even when the player subjects it to high pressure. The pickup is matched with Takamines CT4B built in preamplifier. The CT4B preamp is designed for ease of use and purity of tone. The CT4B consists of 3 bands of graphic EQ tone control, a volume control slider and a built-in chromatic tuner. The 3 band EQ provides control over the bass (LOW), midrange (MID) and treble (HIGH) frequency response. With the sliders set at the midpoint (0) the electric signal from the guitar is evenly balanced across the frequency range. The desired tone is then dialed in by using the sliders to add or subtract frequency response as desired. Each frequency control slider will raise or lower the band response by +/-5db. The volume slider adjusts the output volume of the preamp. The manufacturers suggested retail price is $2079 and comes with a Takamine hardshell case. Street price for this instrument is less than $1500, which is not bad for an instrument of this quality. 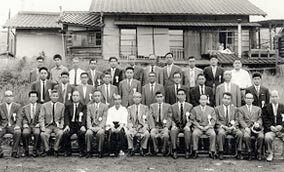 I’ve written about Takamine in the past, but to refresh your memory, the company headquarters was located in Sakashita, Japan near the Takamine mountain range. 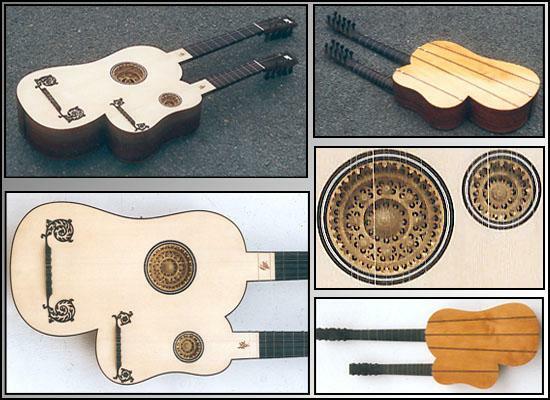 The family-run company had been created instruments to export under different brand names. This helped fuel the guitar craze of the 1960’s. 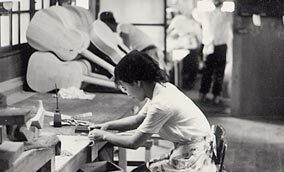 It was in 1968 that the company hired luthier Mass Hirade. It was his demand for high quality that raised the bar for the company. His classical models became very appealing to players and gave a big assist to the companies reputation. 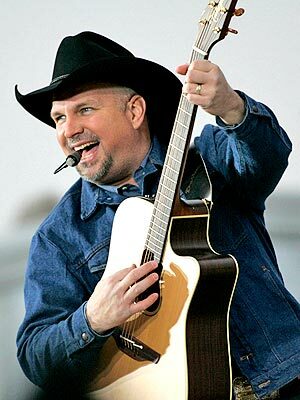 Professional musicians took notice of Takamines quality and started leaving their pricey Gibsons and Martins at home. They would tour with Takamine instruments, that could easily be replaced, but were of similar quality to expensive domestically produced instruments. Takamine is now owned by the Takamine Co LTD or Takamine Gakki Seisakusho, which is based in Nakatsugawa Gifu Japan and is distributed in the USA by ESP Guitars which is based in Japan and Los Angeles California. 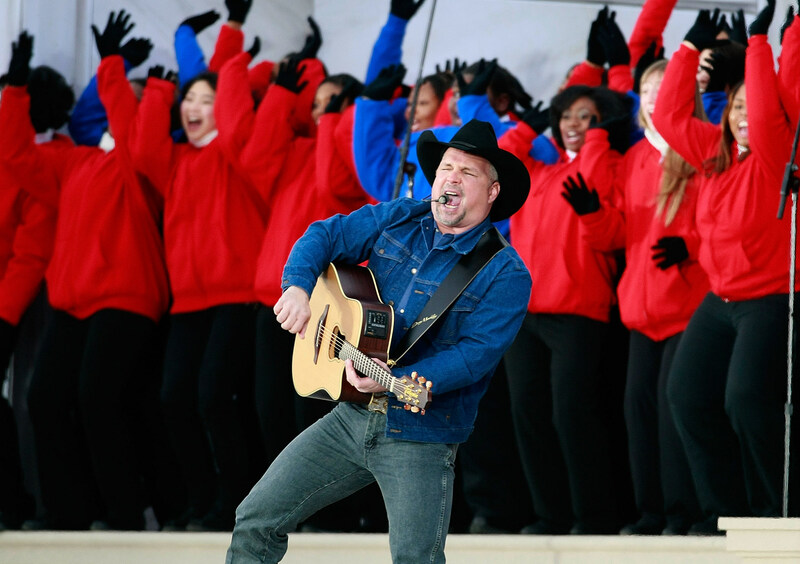 Though he was critized for smashing a guitar on a national television broadcast during the early 1990’s, Brooks praises his signature model. He states that Takamine originally provided him with 60 guitars. 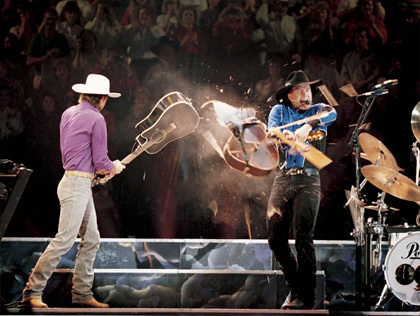 That number has dwindled as he was in the habit of giving away his guitar at the end of his concerts.